Fragments of the Pergamon Frieze at the Altar of Zeus are on display in the Pergamon Museum in Berlin. 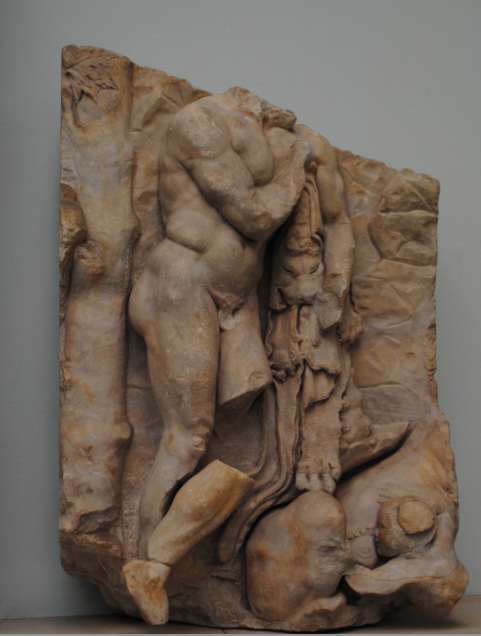 Above left is a depiction of Herakles finding Telephus in Arcadia (Greece). Above middle is Herakles offering the Nymphs and above right is the Arrival in Mysia which was a region in Ancient Asia Minor. 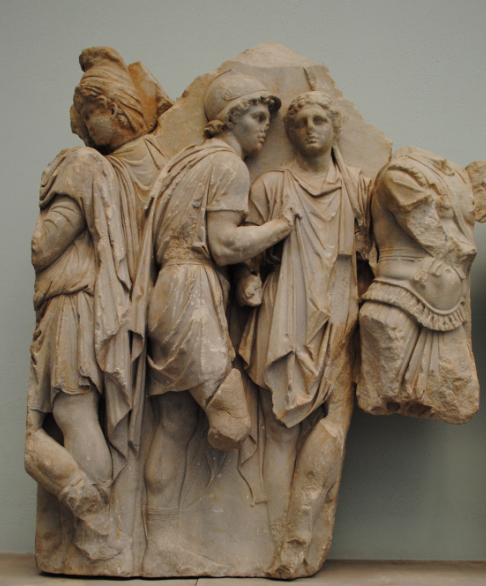 The monumental frieze is one of the greatest examples of Hellenistic Greek Sculpture.